Sathyan Anthikkad has come up with the first look poster of his upcoming project ‘Njan Prakashan’. The movie, which stars Fahadh Faasil in the lead role, also marks the second collaboration between the director – actor duo. 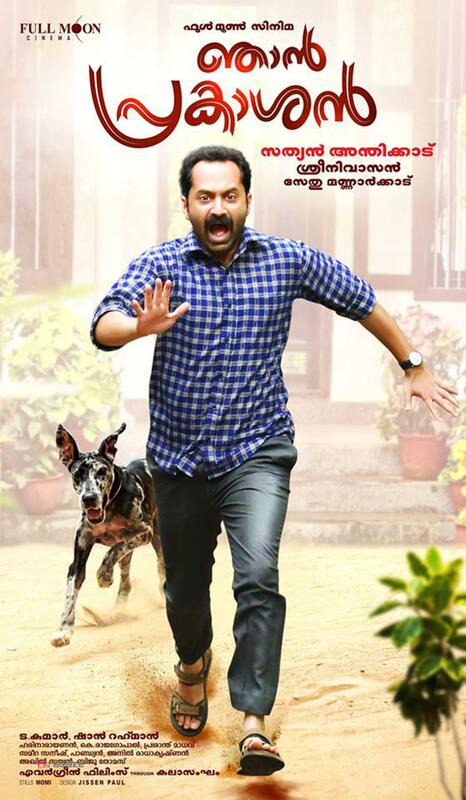 The poster features Fahadh running with a dog after him. The interesting poster has gone onto create quite an interest among the filmgoers. Essentially being the second outing from the duo after ‘Oru Indian Pranaya Katha’, ‘Njan Prakashan’ has already made its presence felt in the buzz list. 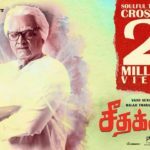 Movie has featured Fahadh in the titular role, while the movie also features Sreenivasan in another important role, who has also penned for the movie. Nikhila Vimal is appearing as the lead heroine of ‘Njan Prakashan’. The team of Sajid Nadiadwala’s ‘Housefull 4’ has wrapped the film shoot. Njan Prakashan Theater List in Kerala..
Nazriya Nasim and spouse Fahadh Faasil in Anwar Rasheed’s Trance?! CONFIRMED! Amala Paul Roped In For Aadujeevitham! Fahadh Faasil In Soubin Shahir’s Next Film!!!!!! Fahadh Faasil and Dileesh Pothan to collaborate once more !! Not only a cameo for Vijay Sethupathi in Mani Ratnam’s up and coming film !